Instagram is one of the largest social networking platforms. With over 700 million monthly active users, Instagram is easily amongst the most active social networks. To put it into perspective, Instagram demonstrated the highest rate of growth throughout the year 2016 and provided to the highest rate of engagement from the past few years. 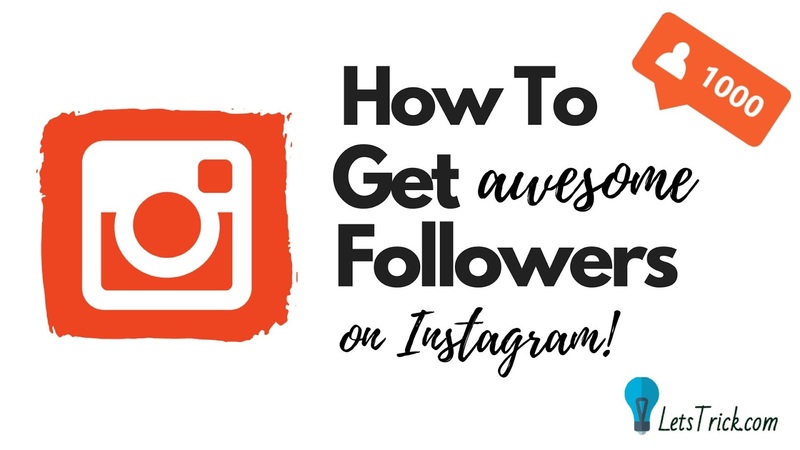 From individuals who use Instagram for socializing purposes, to businesses who base their social media marketing strategies around Instagram, every entity requires a higher number of followers on Instagram. Here’s a guide to increase your following on Instagram. It isn’t rocket science that decent, well-crafted and well maintained Instagram profiles tend to gain a higher number of followers. A proper profile adds to the credibility of an entity. To create a decent Instagram profile, you must upload a well-crafted bio. The bio should be brief, neat and informative. In case you’re operating your Instagram account for your business, you can add the mission statement of your business alongside the URL to its website and links to other social media presence. Adding a distinguished bio is highly important because it can influence Instagram audience easily. Moreover, it is also recommended to post regularly and maintain a high post frequency. While we’re at it, it’s worth mentioning that your posts must be decent, non-offensive and inspirational if possible. Influencer publicity is based on ‘word-to-mouth’ recommendation and is not an entirely new concept. If it is not a new phenomenon, what is all the hype about? Well, saying that this technique of marketing has been revived and revitalized by social media won’t be wrong. Working and collaborating with influencers can result in greater brand awareness and an increase in the level of engagement in your Instagram community. This method helps you gain ‘genuine’ following, which is highly likely to stimulate brand loyalty. To successfully carry out influencer marketing, you must collaborate with the relevant influencers. You’ll have to approach the most suitable influencers and agree on a collaboration structure with them. You should discuss all the objectives and expected outputs precisely, to make the influencers a part of the bigger picture. Also, you must trust your influencers and allow them the freedom to create content for you. Want more followers on Instagram? Simply buy them. There are numerous of third-party Instagram marketing tools that provide Instagram followers, likes and views. Tools such as Vibbi can be used to gain followers on Instagram fast. Vibbi provides followers, likes, and views at a reasonable price. You can find several packages and choose the one that meets your requirements and budgets. Purchasing followers is a great way to stimulate the credibility of your Instagram account in the shortest possible period. Vibbi offers instant delivery for the followers/likes/views you purchase and customer support around the clock. Instagram has revitalized the functionality of hashtags. Hashtags are way more influential and useful on Instagram than they are on any other social network. To put things into perspective, it can be said that hashtags boost your discoverability over Instagram. By using relevant hashtags, it will become easier for people to discover and follow you on Instagram. Moreover, as Instagram allows search via hashtags, it would be a great idea to add the right hashtags in your posts, comments, and bio especially. While we’re at it, it should be kept in mind that abusing and overusing hashtags won’t do any good. Not only will it make your Instagram account, but will also make it difficult to connect with the right people.